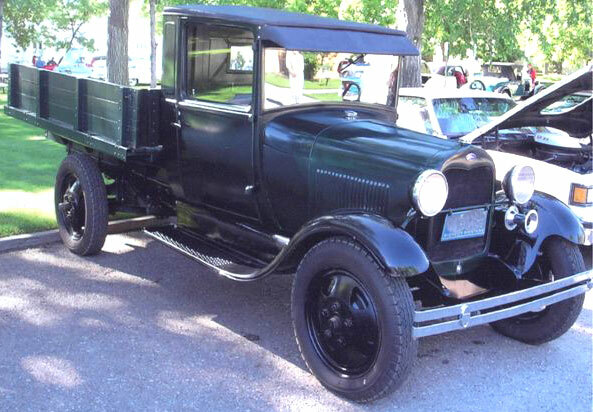 This black and rock moss green 1929 Ford Model AA stake bed truck is a very nice older restoration ready to be driven and enjoyed. This is a very solid, straight, all-original truck. It is scarce as it has the original motor and the motor number matcheds the title. The truck was restored 15 years ago and has only been driven a few thousand miles since then. This truck has the original paint scheme. The door glass is cracking but we are replacing this glass as part of the deal. The horn is an aftermarket JC Whitney unit with a non-stock push button control installed on the left dash. I am including a good used horn in the deal. The right front bumper clamp needs to be painted. 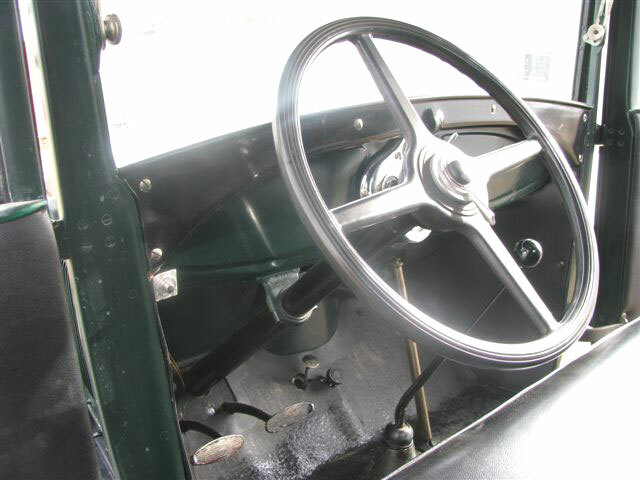 The right rear wheel is from a later Model A truck. 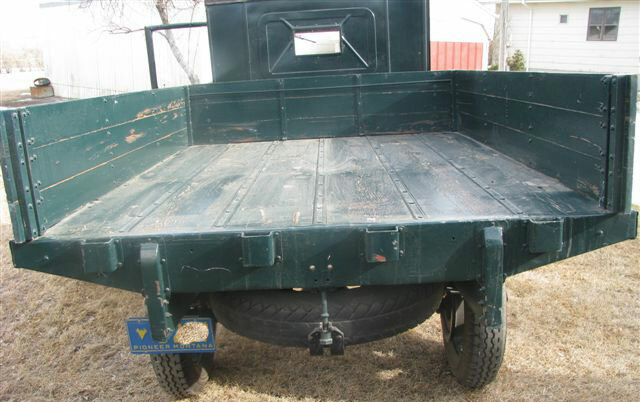 The front tires are good and the rear tires are worn but usable. The spare tire needs to be replaced. The factory stake bed paint is peeling and scratched. The interior is well done to stock specifications but the headliner is white instead of stock black. 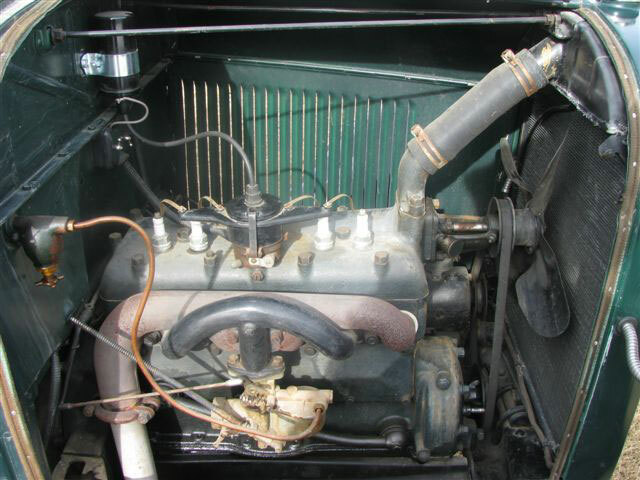 The 200 CID L-head four cylinder motor and 3 speed manual transmission with auxiliary high/low are working like new. The power train and chassis were completely gone through and rebuilt as needed when the restoration took place. The truck has the standard low speed differential. The truck runs and drives like new and is a drive-anywhere vehicle. Here's your chance to own, drive and show a truly exceptional 29 Model AA. Please call (406) 318-0270 for details about this restorable classic project car.